Enjoy shady walks through unique island foliage, discovering fossils of sea creatures, and sandy beaches along with a variety of recreational activities. Islamorada Parks and Rec maintains two destination areas, John Pennekamp Coral Reef State Park and Bahia Honda State Park. The first undersea park in the US, approx 70 nautical square miles. Snorkel, Dive, Kayak, Canoe, Paddleboard, Power Boat Rentals, Boat Slips and Moorings, Camping, Fishing, Swimming, Picnicking, Glass Bottom Boat Tours. 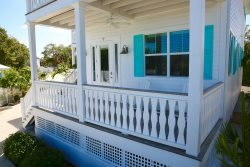 Featuring award winning beach, 500 acres, snorkeling, kayak rentals, daily snorkeling tours, boat slip rentals, camping, lodging, biking, fishing, swimming in the Atlantic Ocean and Florida Bay. Park features heated olympic swimming poos, public beach, tennis, skateboard park, marina, fitness and walking trails, dog park, basketball court, soccer, softball, baseball and multi-use fields and amphitheater. Check website for schedule of events. Swimming, kiteboarding, picnic facilities, pet friendly, free parking. Great shallow beach, you can walk all the way out and see sting rays and other sea life. Take the kids, take a bucket, blanket and lunch.